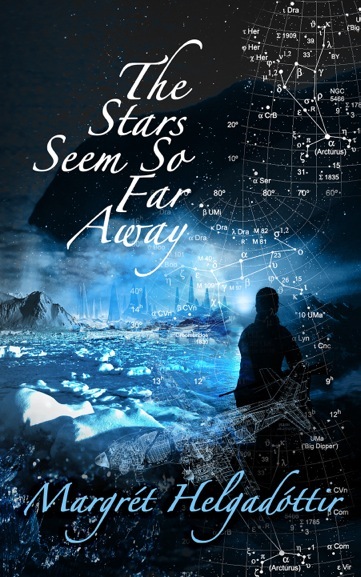 This slender collection of linked short stories is set in a far-future Arctic, where the few humans who haven’t fled to the stars are forced to retreat from the heat of the sun, deeper and deeper into the polar regions, refugees fleeing war, plague and famine. The fourteen stories follow five main characters in their journeys across this hostile tundra; Nora the pirate girl, separated siblings Aida and Zaki, Bjorg who would kill to protect her seed bank, and the mysterious, charismatic Simik. How these five damaged travellers come together and set out on an entirely new adventure forms the core of the book. The writing is sparse and elegant, like the lands it inhabits, stripped back to the bare rock but not lacking in beauty for all that, and the characters, although wounded by the harsh world they live in, are unbroken and empathetic. Even those that have killed have an innate sense of decency which is held up in sharp contrast to the cannibals, murderers and pirates that roam the northern wastes. They are sparks of hope in a dying world, and the conclusion to their story – to all their stories – is an indication towards a brighter future. Which is almost a shame – I’d love to see more stories or even a full-length novel set in this intriguing future world. An excellent introduction to a startling new voice in SF. Well worth reading. A lovely review of my debut book. Thank you!